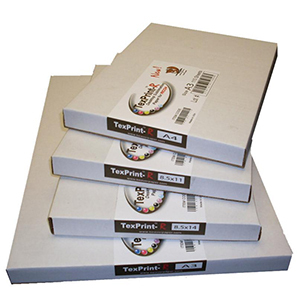 We have tried every brand of sublimation paper we can get our hands on and found this product has the best color and detail when transfered. Each pack contains 110 sheets. 400-Degrees for 60 Seconds on Shirts, 4 Minutes for mugs, and 45 Seconds for license plates. 2/19/2019 – I was just wondering if you all were planning on carry sublimation paper for cotton in the future. I love jsisigns, my go . . . Response From JSISigns: Sublimation as a process it self is not possible with cotton. Sublimation is a chemical process that only works with synthetic fabrics. The neenah Soft Stretch can be printed with sublimation ink and works great on 50/50 poly cotton blends and can do 100% cotton as well but you do not need to use sublimation ink, it will work fine with inkjet pigment ink. 11/28/2018 – Hi I was wondering if this would work on a Epson printer and will can type of paper only be used on polyester material? Thanks . . . Response From JSISigns: As long as its a epson printer that is loaded with sublimation ink it will work. Sublimation only works on Polyester materials.